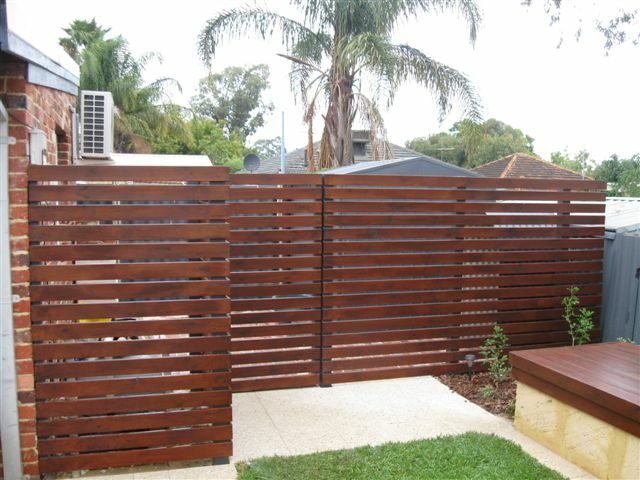 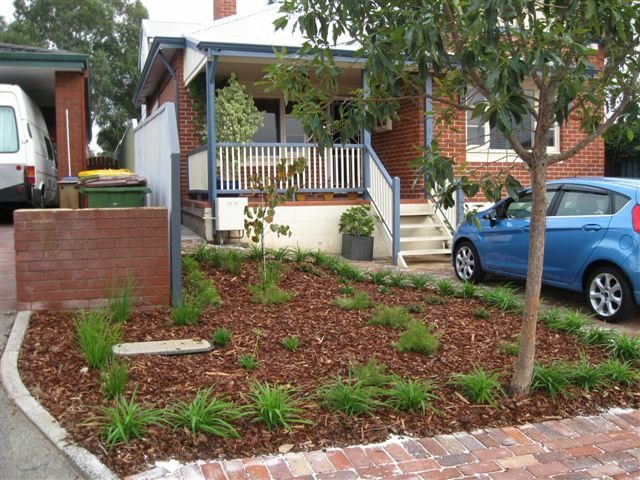 The owners of this character house wanted to modernise their backyard pool area and create a more useful garden with a fresh new contemporary look. 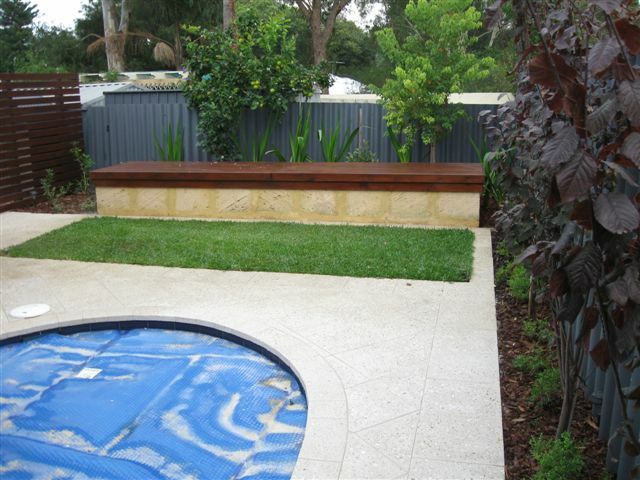 The pool paving and bullnosing was replaced with exposed aggregate paving. 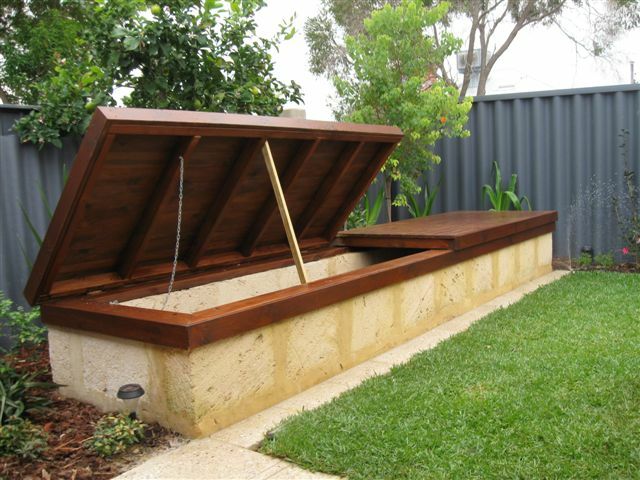 A natural limestone pool blanket box with a timber-decked and hinged lid serves double duty as an oversized daybed for relaxing in the sun. 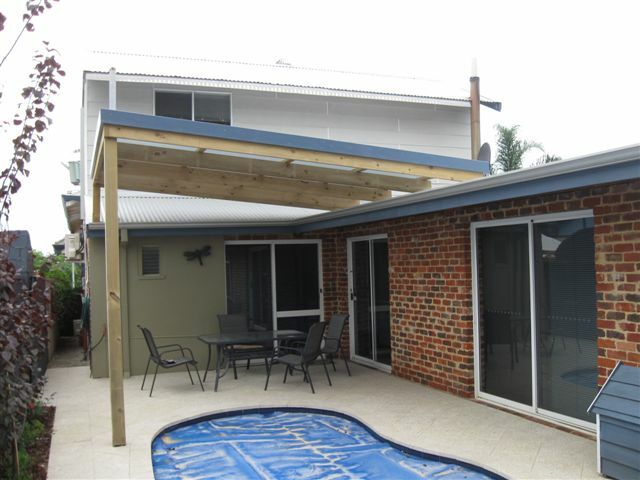 A new skillion roofed patio was built to provide an outdoor living area with protection from summer sun, but oriented to the north to allow winter sun to penetrate into the internal living area.